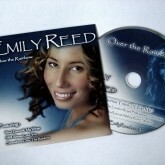 Emily Reed is an amazing Professional Singer based in London with 4 and a half octave range! Perfect for your upcoming Wedding, Party, Corporate Event & more. Emily Reed was truly fantastic and all our guests were full of compliments. We would like to say a huge thank. You for the professional service and providing us such a wonderful singer for our special day. An outstanding performance as always. Looking forward to having you back with us very soon! Emily Reed performed at our wedding last week, it was a small intimate setting and Emily was absolutely outstanding in every way, everyone in the room was blown away by her performance, I can not recommend her enough. Her vocal range and song choice was first class, she is so lovely and put us totally at ease with her accommodating nature. Emily gave a fabulous performance which was one of the highlights of our wedding day. Thank you for making our day so special. Fabulous performance which was one of the highlights of our wedding day. We booked Emily Reed after hearing her on alive network website and we fell in love with her. On our wedding day Emily arrived on time to set up and she introduced herself to us both when we arrived in the marquee. This was later than we had anticipated but she was happy to change the order we had agreed with her before hand. Very polite and very professional. Amazing Singer! An Interview with London Singer / Vocalist Emily Reed!